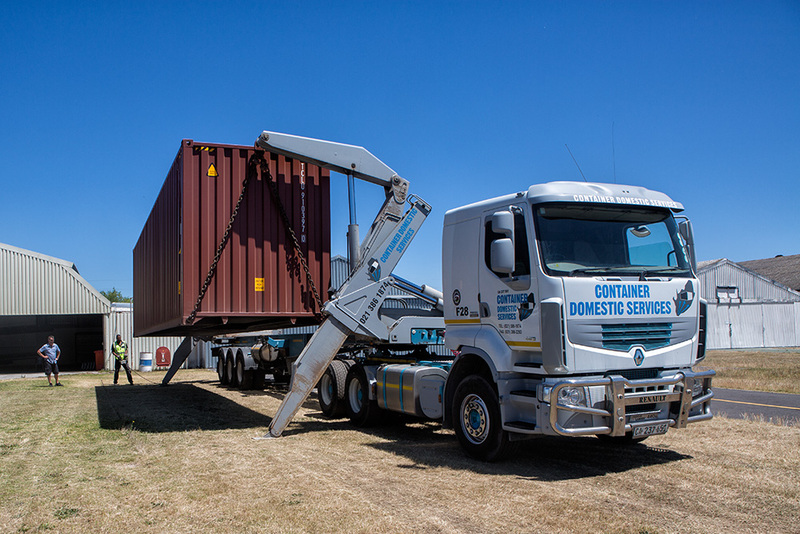 The container arrived as planned to Stellenbosch airfield mid-day. I think we might have chosen the warmest day so far this summer! 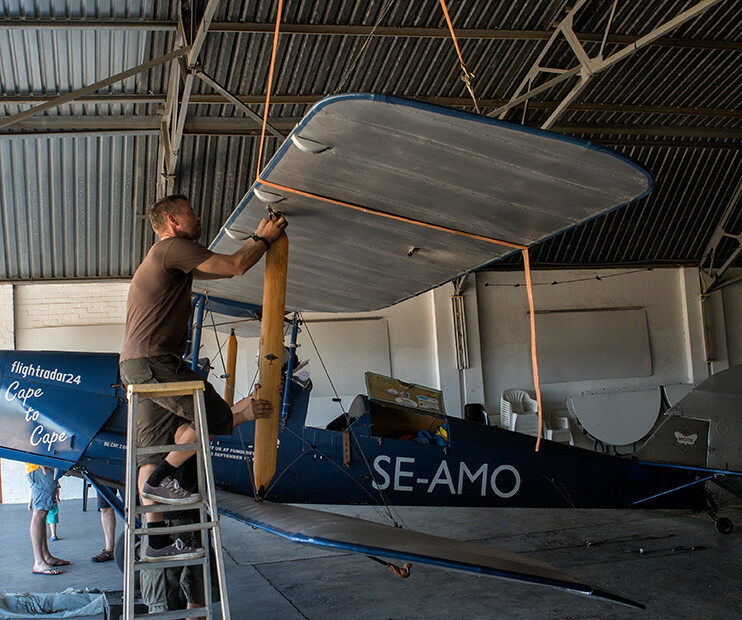 When removing the wings one has to get some support to the top wing. Then you can dismantle the bottom wing and the inter-plane struts. I got great help from family/friends and the personnel at the airfield! Still some work to be done tomorrow, and then the paperwork. I also had the big pleasure to meet with John Smith a relative to the famous Victor Smith who did epic flights across the African continent. John was very kind to give me a signed copy of the “Open cockpit over Africa” written by Victor Smith himself!